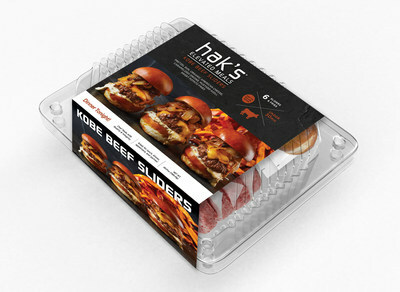 LOS ANGELES, Sept. 19, 2018 /PRNewswire/ -- Just in time for the fall season, Hak's, a leading manufacturer of condiments, dressings and prepared foods, announces the arrival of it's next premium 30-minute elevated meal kit for retail. The new Kobe sliders meal kit is launching on September 21st, 2018 in Los Angeles area and Orange County, CA Costco Wholesale stores. 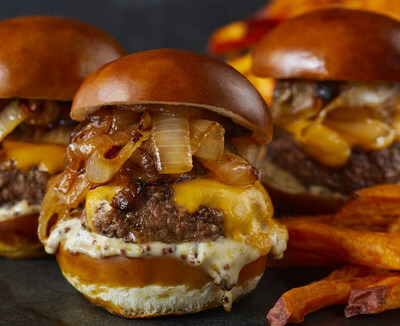 Created and designed by celebrity chef and founder, Sharone Hakman, the Kobe slider 30-minute meal kit includes six Kobe beef slider patties topped with organic American cheese and caramelized onions, six pretzel buns that feature a tangy, mustard aioli, and a side of pan-fried sweet potato fries. Hak's meal kits maintain a simple approach and design to encourage and empower home cooks everywhere. "I absolutely love creating delicious food. I have the privilege of partnering with amazing purveyors who have the same passion for their craft as I do," says Hakman. He continued, "Together we've created this elevated meal kit that I know will be the perfect solution for your next lunch, dinner or party! We are always bringing integrity and transparency to all we do and we do it with passion." Hak's is a global brand consisting of BBQ sauces, cooking sauces and salad dressings built on the foundation of integrity and quality. It all started as a home cook's dream. Now, Sharone Hakman, a celebrity chef, has in just a few short years transformed his ideas into a trusted company with products available in over 12,000 stores across the United States, including Kroger, Target, Whole Foods, Sprouts, and many more. Hak's blows the competition away with unique flavor profiles, clean ingredients and amazing taste. The broad application of products and impeccable taste sets Hak's apart and keeps customers coming back for more.